Amnesty International has today written to Myanmar‘s authorities with a briefing paper outlining grave and ongoing human rights violations committed since the start of September’s crackdown. The briefing comes ahead of next week’s visit to Myanmar by the UN’s Special Rapporteur on human rights Paulo Sergio Pinheiro. 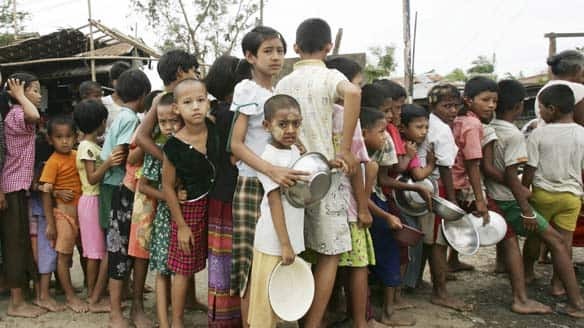 “Widespread arbitrary detentions, hostage taking, beatings and torture in custody and enforced disappearances clearly disprove any claims from the Myanmar Government of returning normality,” said Catherine Baber, Amnesty International’s Asia-Pacific programme director. Ambulances being denied access to victims on the streets during September’s demonstrations and private medial clinics ordered not to treat the injured. Amnesty International is calling on Myanmar authorities to account for all those killed and those who have disappeared. The authorities must also provide the Special Rapporteur with a full list of all those detained and sentenced since the crackdown as well as full and unrestricted access to all detention facilities and crematoria. U Thilavantha was a respected and much-loved member of his local community. He spent several years studying as a monk in Sri Lanka and was the Deputy Abbot of the Yuzana Kyaunghtai training school in Myitkyina, a city in the far north of Myanmar. He gave English classes to local children. He was around 35 years old. On 25 September, the day after Myitkyina’s monks had taken part in peaceful marches calling for an end to restrictions imposed by the military government, U Thilavantha’s monastery was raided by police. He was beaten and arrested. Once in detention, he received further beatings. He died of his injuries the following day. Officials at the local hospital were pressured into declaring that he had suffered a heart attack. The monastery in which U Thilavantha lived had originally housed 142 monks. On 31 October, only 11 remained. Monks from the training school in Myitkyina have told Amnesty International of the day the police destroyed their home. The monks have described the events of the 25 September that led to the death of U Thilavantha and the beating of many others. “The authorities cut the phone lines at about five in the afternoon. At ten past nine that night, they crashed open the main gate of the monastery with their military trucks,” recalled one of the monks.